Srijan builds and modernizes digital systems to help enterprises adapt to changing business models and market demands. We create feature-rich platforms for experience, engagement, collaboration, and insight - designed to be high-performing, digitally transformative, scalable, and secure. Founded in 2002, Srijan started out as a Drupal company and became the largest pure-play Drupal company in Asia. 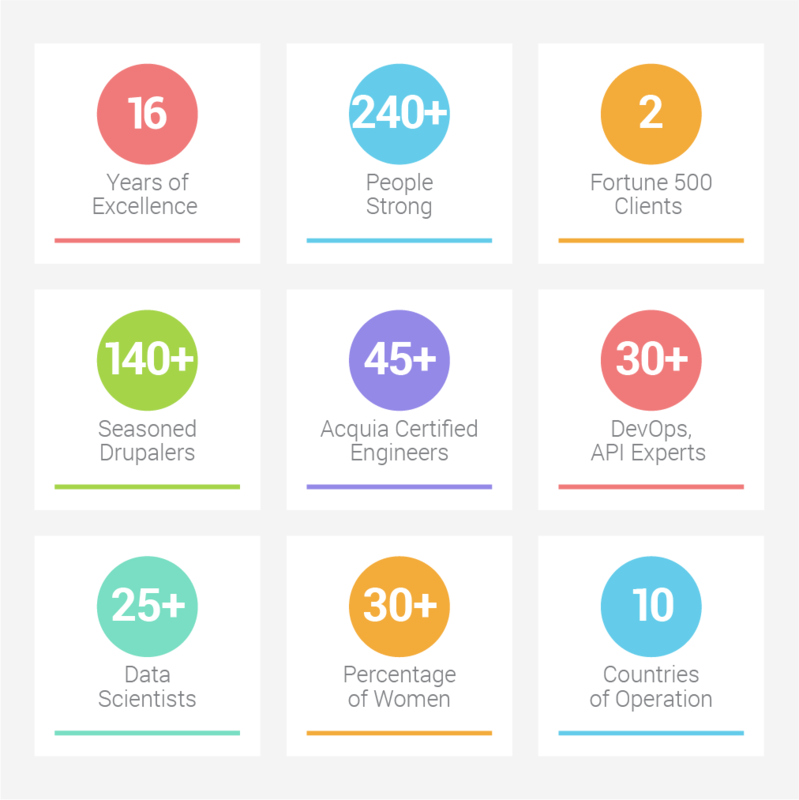 In addition to Drupal, Srijan has expanded its technology portfolio to include API Management, DevOps, Conversational Interfaces, Machine Learning, RPA Implementations, Big Data Analytics and more. Srijan delivers innovative solutions and acts as a trusted technology partner for enterprises across industries such as media, travel, healthcare, telecom, retail, pharmaceuticals, eCommerce, banking, insurance and financial services. Our teams bring on board a unique mix of technology expertise and business acumen, to understand and deliver exactly what your business needs. Srijan uses agile and lean processes to help large enterprises such as a global retail company, and one of the top management consulting firms of the world, build and deliver on their digital strategies using Drupal and more. Startups such as OnCorps and TheRecordXchange build online products. e-commerce and retail companies, and marketplaces streamline their product marketing platforms, including delivering on an Omnichannel strategy with Akeneo and Drupal Commerce. Srijan enables and encourages its engineers to contribute to the Drupal community, including contributions to Drupal 8 core. It also organizes code-sprints, Drupal Camps, sponsors Camps around the world, participates in all major DrupalCons, and is a Signature Supporting Partner to the Drupal Association. 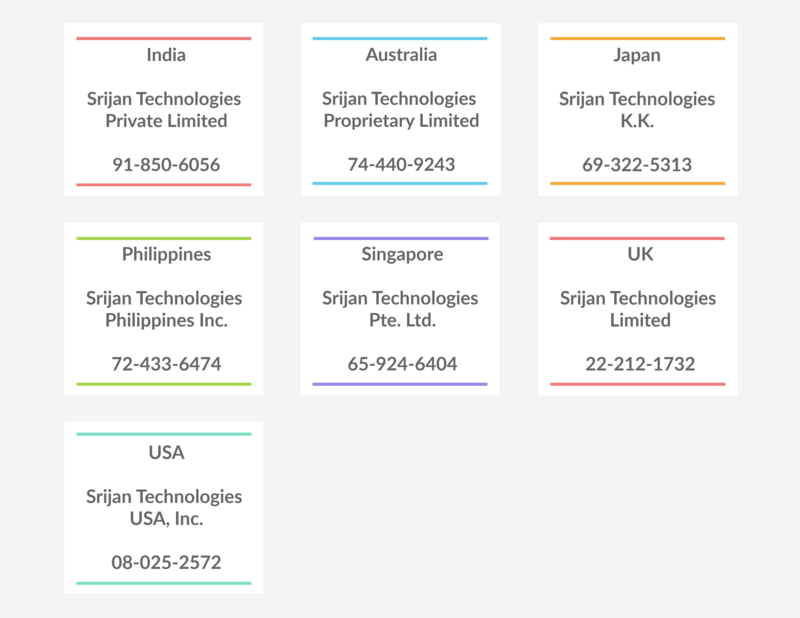 Srijan is headquartered in New Delhi, India and has offices in California, New Jersey, London, Hannover, Manila, Sydney, Singapore, Tokyo, Goa, Gurugram, and Bengaluru. Srijan practices a democratic, transparent and empowering work culture. Open salaries, transparency in work orders, company financials have been commonplace for years.